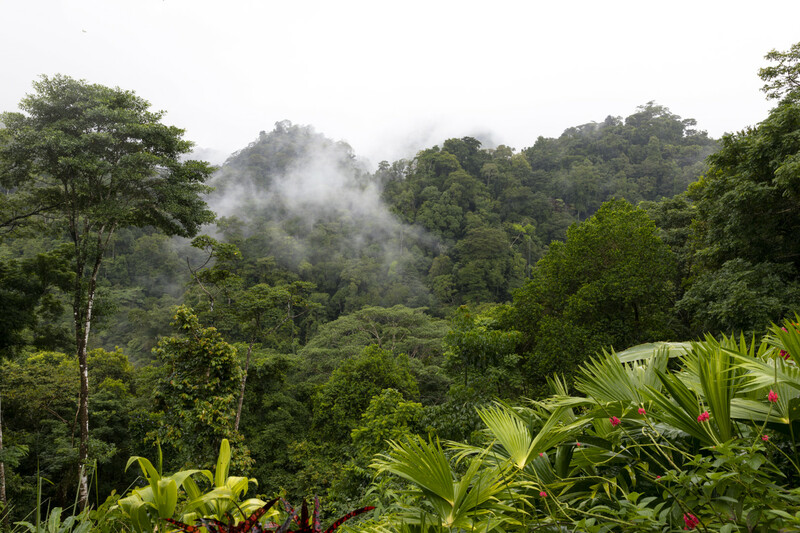 Amid the tropical rainforest of Costa Rica sit our accommodations of eight bungalows, two haciendas, and seven platform tents. 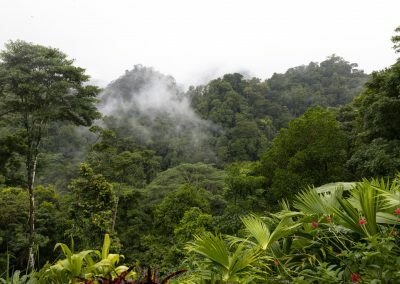 As we are located up above the Carate River Valley, it is generally cooler and we almost always have a light ocean breeze. There is no stagnant water on property keeping Luna Lodge virtually mosquito-free. 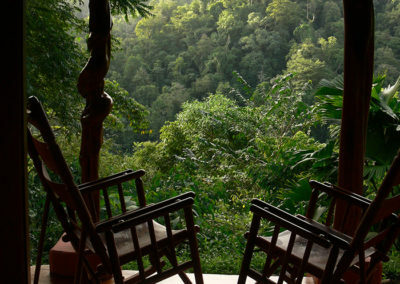 Each room or luxury tent is beautifully situated in the rainforest and offers breathtaking views from the outdoor sitting areas. 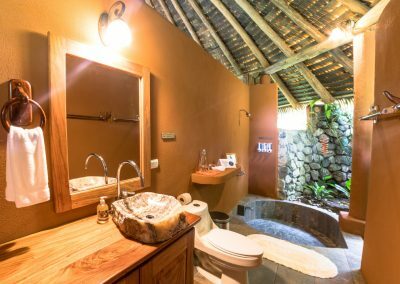 Eco-friendly soap, shampoo and conditioner are available in each room, as well as a drying line for bathing suits and beach towels. 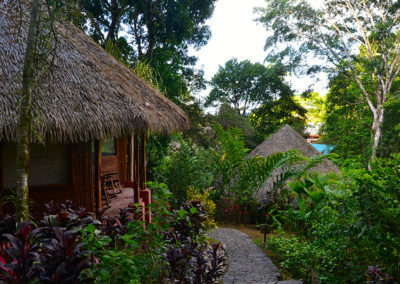 Six of the bungalows feature two double beds, a private deck, and a private bathroom with shower and bathtub. Large windows and a high thatched-palm roof provide for ample air circulation, while walls of white cane add a decorative rustic touch. We have two honeymoon suites with king-sized beds. These beautiful bungalows boast the same features and amenities as the other Bungalows. 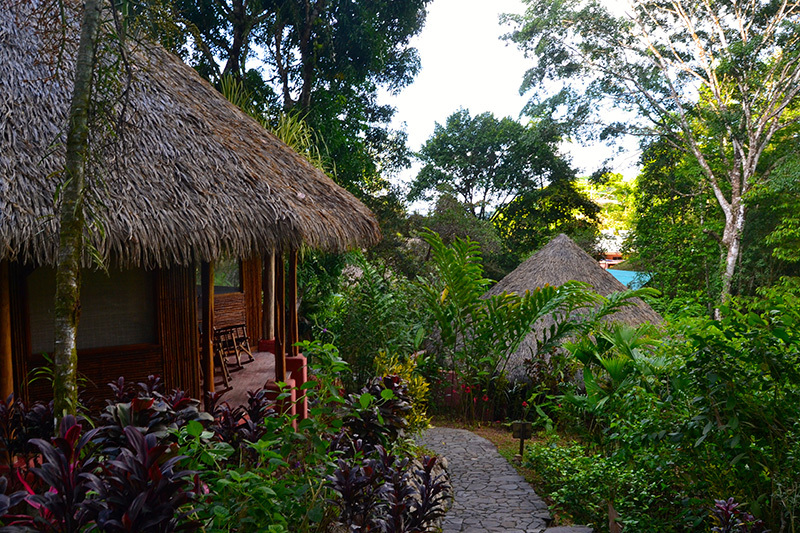 The hacienda-styled rooms are closer to the main lodge and are fully enclosed. 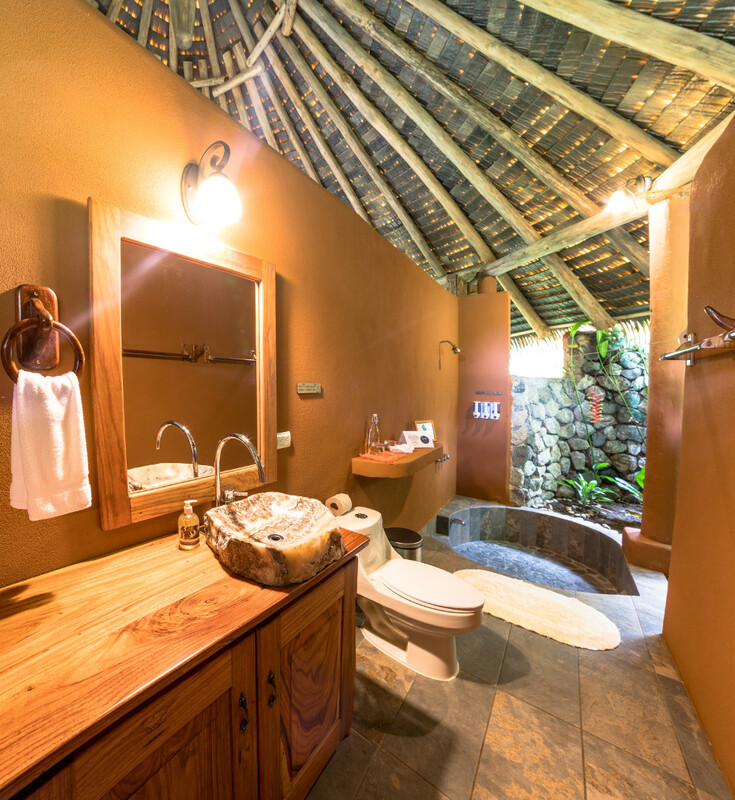 The spacious colonial-style hacienda rooms have private baths and are designed to comfortably accommodate three with one double-bed and one single-bed. 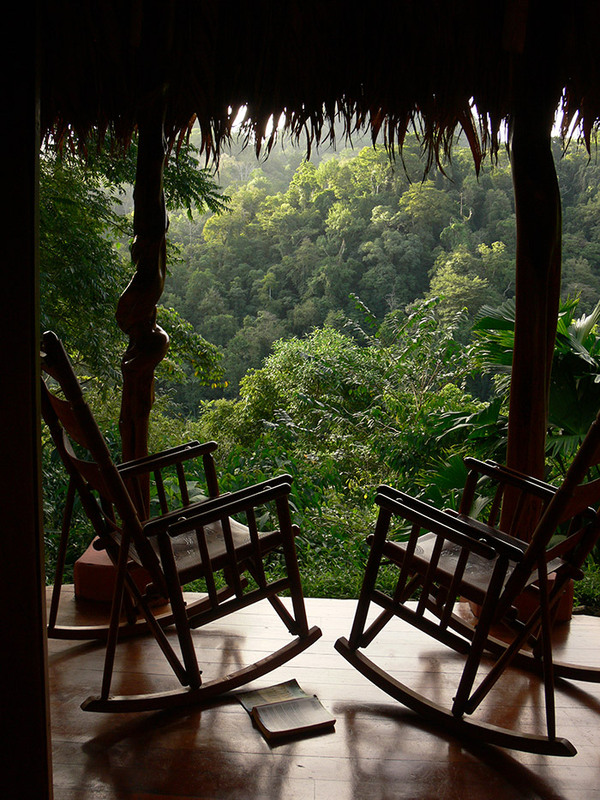 The view is spectacular and the toucans love to visit the neighboring trees in the afternoon.